Ranchers face many challenges, certainly those in Idaho. Not least are wolves and bighorn sheep - the latter because they transmit disease. Domesticated sheep remain genetically very similar to their wild ancestors, so bighorn sheep and mountain goats can transmit disease to their domestic brethren. “But we see it as a blessing to have so many of the charismatic megafauna - elk, deer, pronghorn, and even wolves - in our region,” Brian assures me. “You can imagine going into a state like Idaho, it’s very conservative,” says Brian. 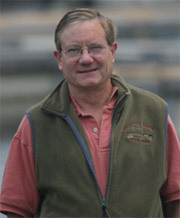 “We have very good relations with our ranching neighbors, who have largely welcomed us into their community. We’ve tried to keep a low profile - we didn’t know what we were doing at first, and everything was a learning process. Our neighbors had had tenure on the land for generations. 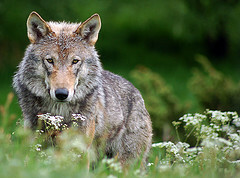 Our next post will explain how Lava Lake Ranch is successfully handling the wolf predation issue.